USA Today’s Kevin Allen looks at the crop of American 2018 draft prospects who are sons of former NHL players, including BU freshman Brady Tkachuk, who earned Player of the Game honors in Thursday night’s All-American Prospects Game. 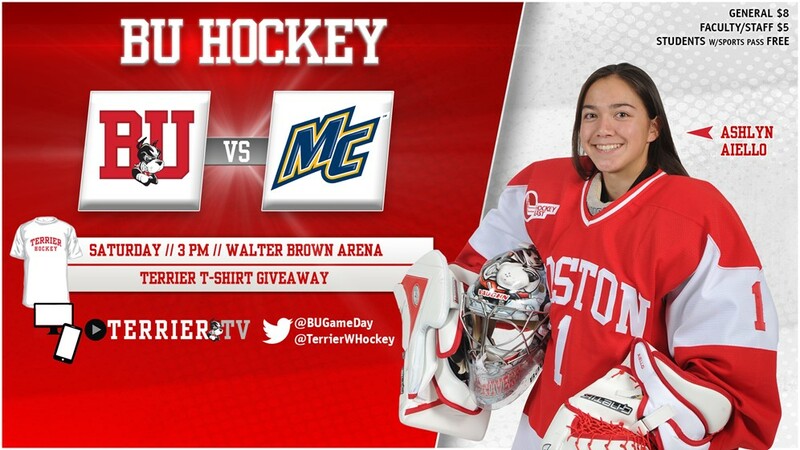 ► Note: Tomorrow’s blog post will include our annual Q&A interview with the Terrier Captain. Senior Brandon Hickey answered our questions about his personal goals, expectations for the team and which returning players he expects will take big steps up this season. Also, we'll post results of the eighth annual Hockey East media poll, conducted by the Hockey East Writers and Broadcasters Association. TheHockeyWriters.com’s list of top 100 previously-drafted prospects includes current Terriers Dante Fabbro (40) Jake Oettinger (54) Jordan Greenway (photo, 65) and former Terriers Charlie McAvoy (1), Clayton Keller (4), Kieffer Bellows (67), Danny O’Regan (84). 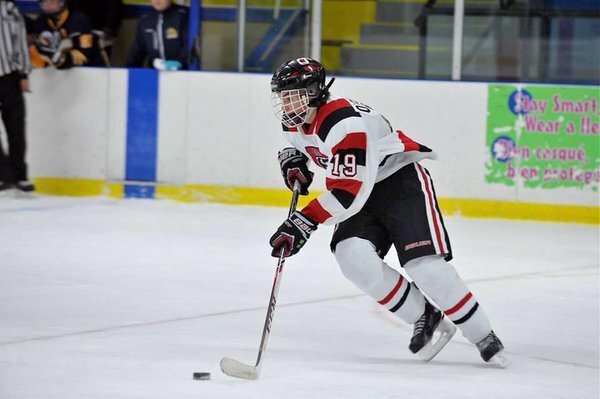 2018 recruit Ryan O’Connell, assisted on a pair of third-period goals, including the game-winner, as BCHL Penticton edged Alberni Valley, 3-2. For the 6’2” defenseman drafted by Toronto in the 7th round this past June, it was his first point since joining the Vees this season. Last season, O’Connell had 33 points in 47 games for St. Andrews College in Ontario. 2018 recruit Matthew Quercia’s goal was the only tally for USHL Sioux Falls in the Stampede’s 4-1 loss to Fargo. A power forward from Andover, Massachusetts, he is in his second USHL season and previously played for the New Hampshire Junior Monarchs. 2019 recruit Trevor Zegras’ second-period goal proved to be the game-winner as the NTDP U17s defeated the Austin Bruins in the first game of the NAHL Showcase Friday night. The 5-11 center from Bedford, NY led Avon Old Farms in scoring as a sophomore last season with an 18-24-42 scoring line in 28 games. The U17s play the Minnesota Magicians tonight. Bellows has signed a three-year entry level contract with the New York Islanders who selected him in the first round of the 2016 draft. 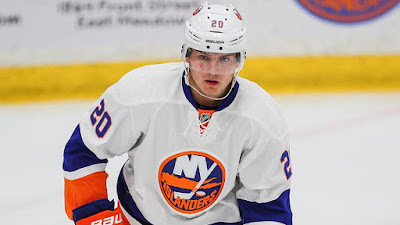 He will spend this season with the Portland Winterhawks of the WHL. Terriers open the regular season and the Hockey East season this afternoon, hosting Merrimack in a 3 p.m. start at Walter Brown Arena. BU won two of three games with the Warriors last season and has a 5-1-0 all-time record vs. Merrimack. Senior Victoria Bach has 11 points in those six contests: 6G, 5A. Senior Erin O’Neil has a 2-0 record vs. Merrimack, allowing just one goal in each of the two games. The Warriors are led by sophomore Mikyla Grant-Mentis who had a 9-18-27 scoring line last season. 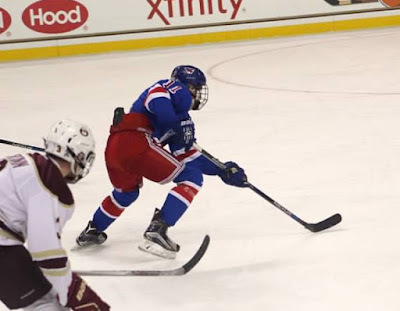 Terriers played to a 2-2 tie with Concordia in an exhibition game Friday night at Agganis Arena. Seniors Bach and Nina Rodgers found the net for BU. 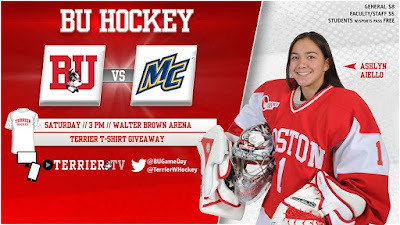 The Terriers used all three goalies with O’Neil stopping 14 first-period shots, while freshman Corrine Schroeder made four saves in the second and senior Ashlyn Aiello turned aside 18 shots in the third period and the scoreless overtime.